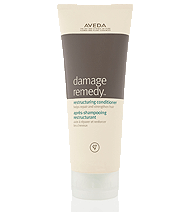 Helps extend a great blow dry, revive hair after a workout, refresh hair while traveling, and transform hair before a night out. Helps seal in moisture after bathing or during massage with a rich, aromatic, conditioning body oil for dry skin, hair and scalp. Contains organic soybean oil, organic olive oil and organic safflower oil. A balancing aroma featuring organic lavender, rosemary and bergamot. Soften your stressed skin with this nourshing aromatic oil for body, bath and scalp. Eve Salonspa is a Kalamazoo, Portage, MI Salon Spa that offers Hair Salon Services, Massage and Facial Services, Beauty Services, Waxing and Threading Services including Airbrush Make up and Airbrush Tanning, Pedicure & Manicures, using the OPI Gel Nail System. 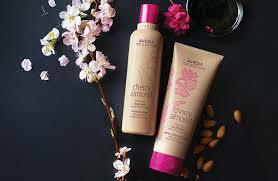 Gentle, daily shampoo with quinoa protein helps repair and strengthen damaged and chemically-treated hair. Daily conditioner with quinoa protein helps repair and strengthen damaged and chemically-treated hair. Powered by 97% naturally derived* ingredients, the leave-in treatment delivers 6 remedies in 1 step—smooth it on to instantly repair, strengthen, protect, detangle, soften and boost shine. Quinoa protein fills in damaged cuticles to instantly repair. Wheat protein helps protect against heat styling. Soy oil detangles to help prevent breaking. Intensive treatment packed with quinoa protein strengthens damaged and chemically-treated hair with deep repair. quinoa-packed treatment fills in damaged cuticles to help strengthen and reinforce hair—which also makes it more resilient to future damage. replenishes natural oils with jojoba, to leave hair looking and feeling healthy, shiny and strong. Our first fundamental nutrition care to deeply nourish severely dry hair, creating extreme hair suppleness and manageability. Featuring new technology with Benjoin Resin, able to recreate inner nutrition from within the hair. Now combined with Irisome at its highest concentration to deliver a soft hair touch. Reverse Fiber Renewal Care Conditioner created to use before shampoo to protect & repair very damaged, over-processed hair without the weigh-down effect. Resurrection Dual Serum Fiber Renewal Care for all hair types. The oil and cream texture instantly repairs, reinforces and resurfaces hair fiber. Now available in a Limited Edition Duo-Pack (2x60ML) for a limited time. 9 out of 10 women* saw a visible difference in their hair texture after one week. With continued usage, your hair stays healthier from root to tip allowing it to grow longer† with 93% less breakage. ** The new Must-Have for all hair types. *It takes time to regrow hair, results may be visible for women after using Minoxidil regularly for 4 months. The amount of hair regrowth is different for each person. Minoxidil will not work for everyone. Stop using product if you do not see hair regrowth after 4 months and see your doctor. A gentle but thorough cleanser for life stressed hair. Leaves hair with more substance reslience and strength. Exfoliating Pre-Shampoo Scalp Treatment for All Hair Types. Inspired by skincare, a breakthrough micro-fine pre-treat scrub that detoxifies, activates, and stimulates from scalp to ends to prepare the hair for Bain and Crème Chronologiste. 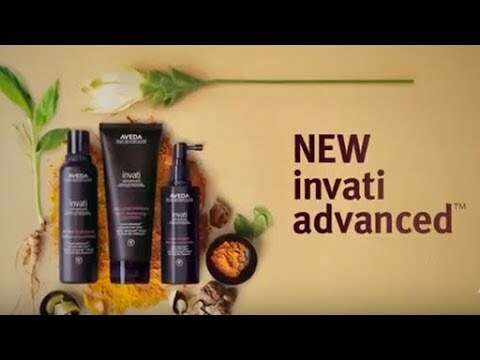 Revitalizing Shampoo for All Hair Types. The most concentrated care shampoo ever created by Kérastase offering a flawless regenerating touch. Revitalizing Conditioning Balm for All Hair Types. The largest amount of active ingredients in the highest concentration delivering total hair and scalp renewal. Blow-drying can easily result in hair breakage and split-ends if it is not sufficiently protected and primed. Prepping your hair correctly is the perfect way to achieve an easy and long-lasting blow-dry routine, which allows for beautiful and flowing hair. Fusio-Dose treatments combine a concentre with a booster to personalise the treatment to your unique hair needs. Based on your needs, your hairstylist will create a customised mix from 20 possible combinations to instantly transform your hair. Our hair care collection rebuilds weak hair and damaged hair, while restoring the hair fiber, repairing the effects of heat styling and preventing hair breakage in over-processed hair. Sensitive scalp? Come to our salon today and experience the latest DERMO-CALM collection by Kérastase, specially designed to sooth sensitivity! Spring is the perfect time to indulge yourself! Come today and discover the NEW DERMO-CALM regimen by Kérastase for sensitive scalp. It’s our European best-selling formula finally brought to the US! The #1 Kérastase formula in Europe is finally arriving in the US! Come to our salon today and discover the NEW DERMO-CALM to soothe sensitive scalp: Bain Vital, our 1st hypoallergenic formula, and Masque Sensidote for an instant cooling effect. Need a cooling effect? Book your appointment today and indulge yourself with the NEW DERMO-CALM treatment for sensitive scalp by Kérastase. Sulfate-free multi-protecting shampoo gently cleanses color-treated hair to protect and maintain healthy hair color. Multi-protecting conditioner nourishes color-treated hair to protect and prolong color vibrancy for healthy hair color. Life & Style Magazine has included Kérastase’s Masquintense in its Best of Beauty 2013 Awards as the Best Hair Mask! According to them, "nothing works better" for restoring hair and adding softness and shine. Put this masque to the test and get yours today! Aging has always been a concern for women of all ages. In its October issue, Elle Magazine has found ways to "stop the clock", including Kérastase’s Initialiste. Ask your stylist how this serum can revitalize your hair! Are you a fall bride-to-be looking for every bit of advice you can get for your big day? The Knot recommends trying Kérastase’s Lumière Liquide for "free-moving, natural looking hair". Get yours today at our salon! Essence Magazine encourages you to "take control of damaged strands with serums". Their recommendation? 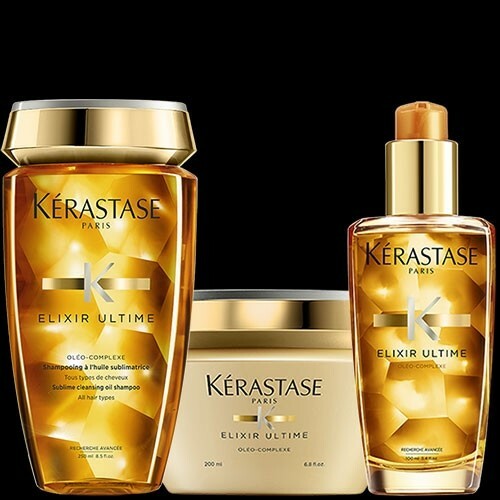 Kérastase’s Initialiste, sold in our salon! Celebrate the romance of the holidays with this sensual “French Twist” up-do. Watch this step-by-step tutorial to recreate it yourself! Get the most from your 3-step regimen. Check out the new YouTube Video Library for Kérastase! 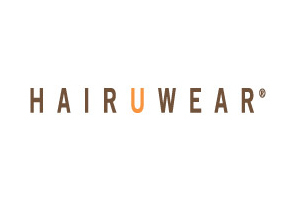 Looking to try something new with your hair? Check out the Luxe Style Tutorials by Kérastase! Purifies skin without stripping away natural moisture. Salicylic Acid deeply cleanses pores while antoxidants protect and soothe the skin. Recommended for normal, oily, combination, acneic, congested or unbalanced skin. Visibly transforms skin's clarity and reduces the appearance of fine lines with a high dose of Vitamin C. Antioxidants and minerals synergistically defend against free radical damage and the resulting effects. Recommended for all skin types. Provides broad spectrum protectionfrom the sun's damaging rays while nourishing hydrators and antioxidants help fortify the skin. Recommended for all skin types, well suited for oily skin types. Offers exfoliating and moisture retention properties and will promote softer, smoother skin as well as improvement in the appearance of fine lines. Recommended for aging, acne grades I & II, sun damaged, hyperpigmentation. Glo Skin Beauty Oil Free SPF 40+. This oil-free sunscreen provides broad spectrum protection from the sun's damaging rays while nourishing hydrators and antioxidants fortify the skin. Glo Skin Beauty Moisturizing Tint SPF 30+. A lightweight, oil free formula that provides moisture to combat dehydration and dryness, the broad spectrum UVA/UVB protection of Moisturizing Tint SPF 30+ guards against the sun's damaging rays and imparts a sheer hint of color to softly even tone and enhance skin's radiance. Shield skin against damaging UV rays with this pure mineral sunscreen. The unique formula uses oleosome technology to maintain and extend skin's hydration levels while conditioning agents provide additional support to dry skin. Protect your skin with Glo Skin Beauty Daily Mineral Defense SPF 30. Glo Skin Beauty Solar Shade SPF 50 .